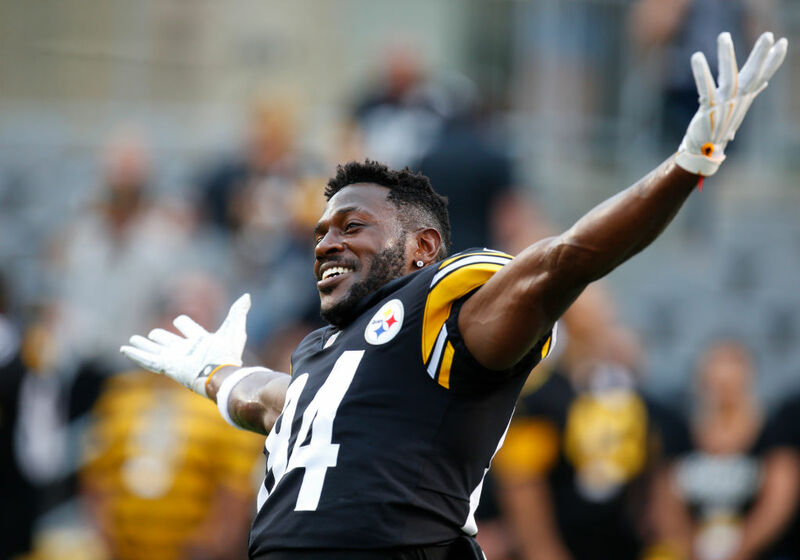 Star NFL receiver Antonio Brown revealed Tuesday he had no interest in coming to Buffalo as part of a trade with the Pittsburgh Steelers. Brown, traded from Pittsburgh to Oakland on March 10, gave his perspective on the trade negotiations by releasing a taped conversation between himself and agent Drew Rosenhaus that was made days before the deal went down. The audio recording was part of the inaugural episode of his own podcast, called The Boomin Experience, created by Brown and his personal disc jockey, DJ Legato. The podcast confirms what both Bills General Manager Brandon Beane and Rosenhaus both stated after the trade – that talks between the Steelers and Bills on a deal never got very far. Brown clearly didn’t think the Bills, with quarterback Josh Allen, were a good enough team for him to consider. “Yeah, don’t even waste time,” Brown replied. “I really want you to have a good quarterback and to be in a ... winning environment, man,” Rosenhaus tells his client. “New England and Philadelphia, these are two of the last Super Bowl champs, you know? Rosenhaus listed New England, Philadelphia, Tennessee, Washington, Buffalo and Oakland as the teams that had talked to the Steelers about a deal. The podcast episode is 16 minutes long. After the deal was made he posted a photo of himself shunning the Bills logo. The Bills play the Steelers this season. They do not play the Raiders.